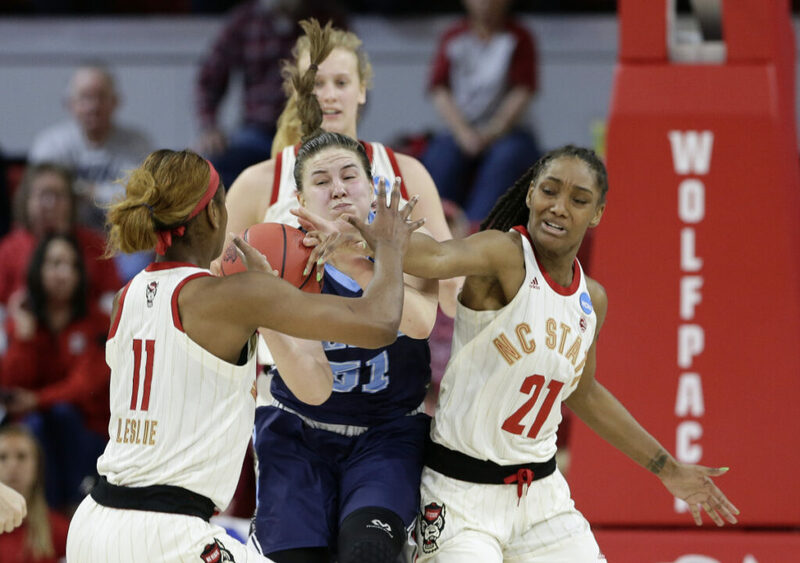 N.C. State uses a 13-0 run to open a 17-point halftime lead, then holds off the Black Bears in the first round of the tournament. 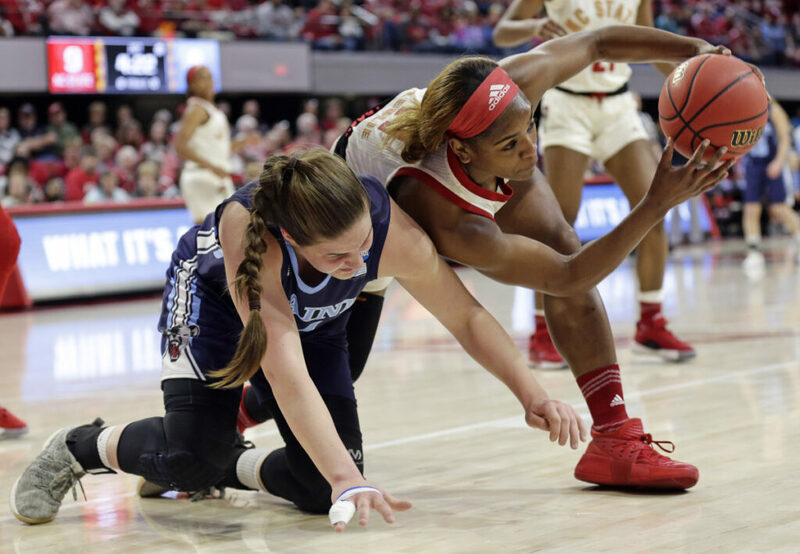 RALEIGH, N.C. — North Carolina State took what it wanted inside and made plenty of key shots from long range Saturday to oust the University of Maine from the NCAA women’s basketball tournament, 63-51. 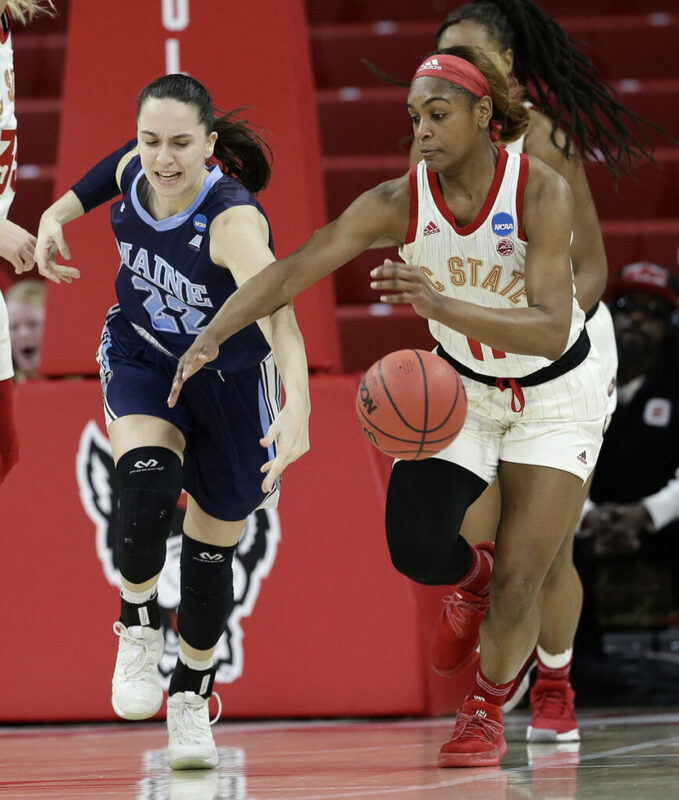 The Wolfpack, seeded third in the region and ranked 10th in the country, outscored the Black Bears 32-6 in the paint and held a 38-29 rebounding advantage. 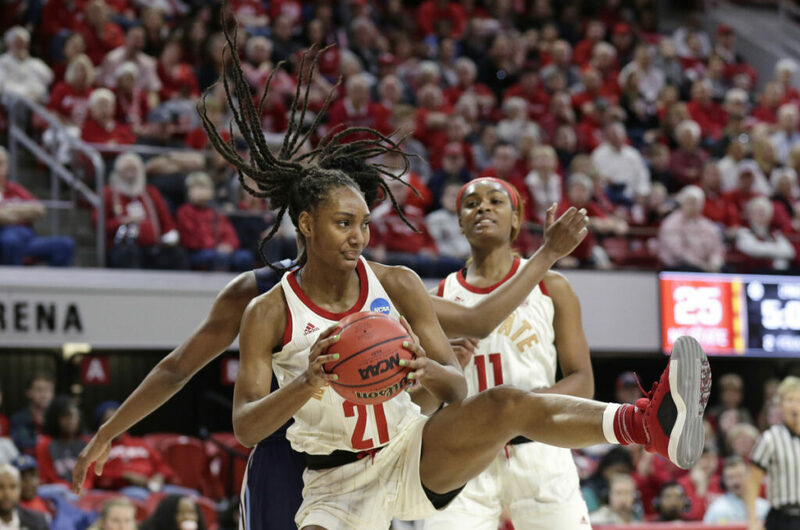 North Carolina State also held a double-digit lead throughout the second half. 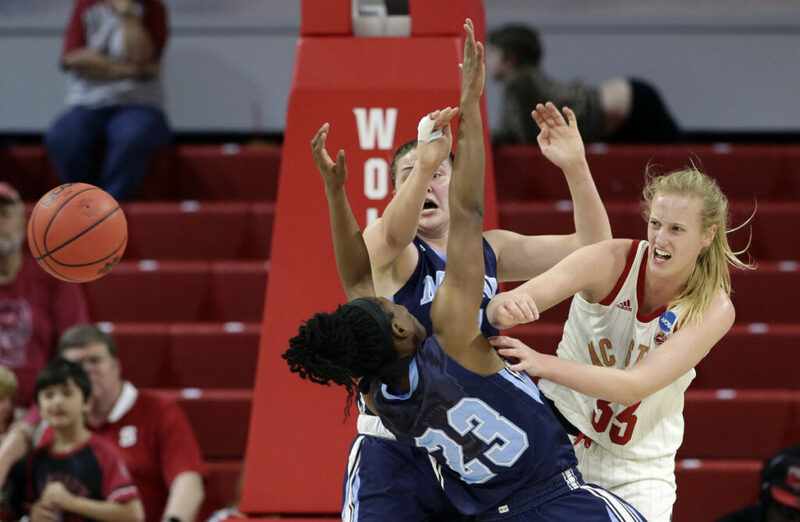 The most troublesome Wolfpack player was 6-foot-5 center Elissa Cunane. 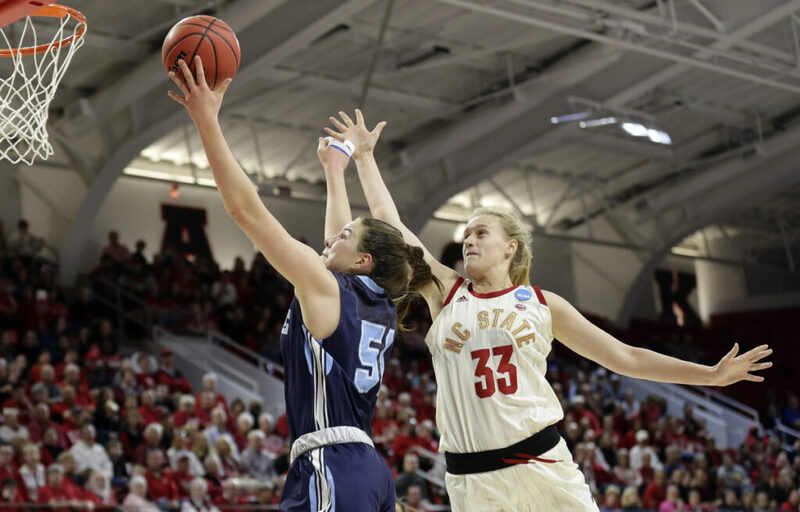 The freshman had 11 points and eight rebounds in 23 minutes in UMaine’s 84-46 loss at N.C. State on Dec. 15. This time she finished with 16 points and nine rebounds in 35 minutes. 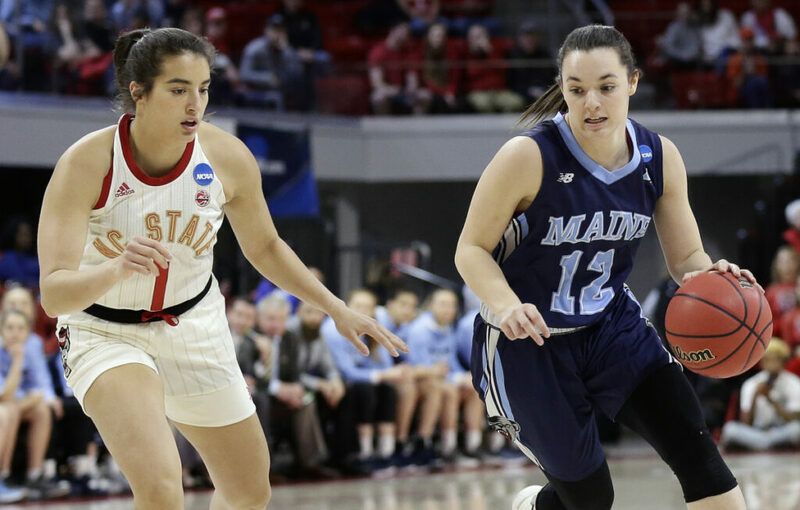 Parise Rossignol and Saar combined for nine of UMaine’s 11 makes from long range. 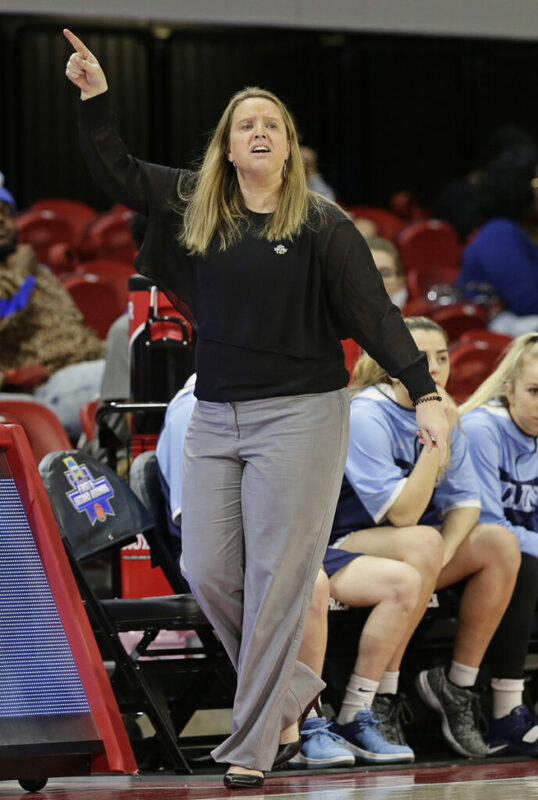 They kept the Black Bears (25-8) afloat as Bianca Millan and Tanesha Sutton, who went into the game averaging a combined 32 points a game, totaled only seven. They were 3 of 23 from the field. The Black Bears did well to keep pace through much of the first half. 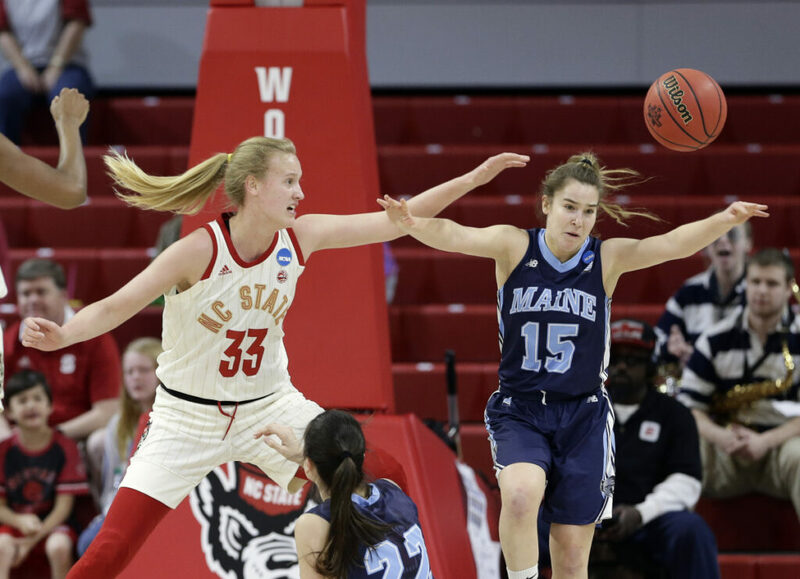 A Fanny Wadling jumper kept Maine within 28-22 with just over three minutes left, but N.C. State, which will take a 27-5 record into the second round at home against Kentucky, closed the quarter on a 13-0 run. In the final 45 seconds, Kai Crutchfield nailed a 3-pointer while being fouled, completed the four-point play, then hit another 3-pointer at the buzzer. That sent UMaine into the break down 39-22. The Black Bears outscored N.C. State 29-24 in the second half and cut their minus-11 halftime rebound differential to minus-9. UMaine largely lived behind the arc throughout the game. 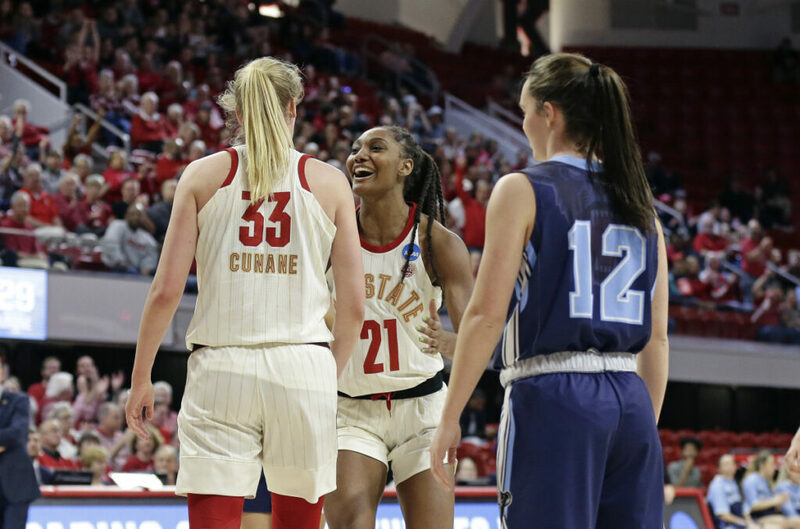 Sutton had a 3 go off the front rim, off the backboard and in to pull the Black Bears within 11 with 3:25 left in the third quarter, but N.C. State kept going back to Cunane inside whenever it needed a basket. The long-range shooting wasn’t a shock to N.C. State. The Black Bears, going into Saturday, attempted almost 25 shots per game from behind the line. They attempted 41 3-pointers when the teams met in December. 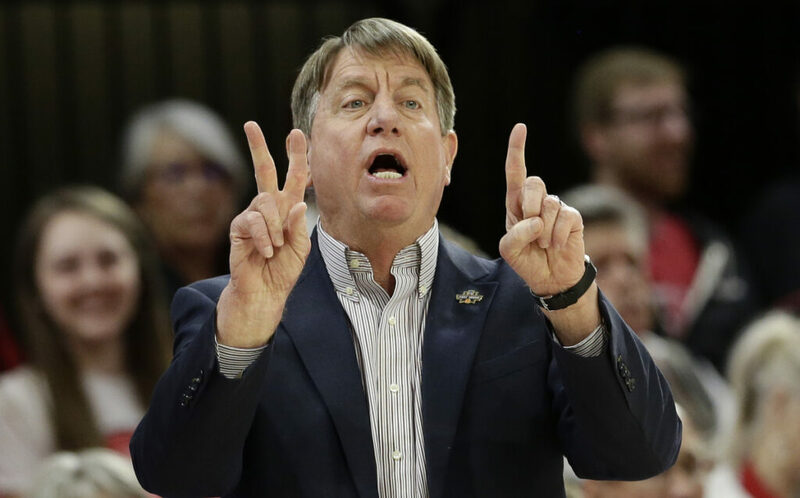 N.C. State Coach Wes Moore said that lopsided Wolfpack win in December was a “perfect storm” of hot shooting and stingy defense. His defense, despite containing UMaine’s two leading scorers, struggled to guard the Black Bear shooters. “(Vachon) has put them in a great position with the handoffs and all where it’s difficult, and the back pick and the fade pick,” Moore said. He also complimented Rossignol and Saar’s shooting. Rossignol led Maine with 19 points. Saar chipped in 16. 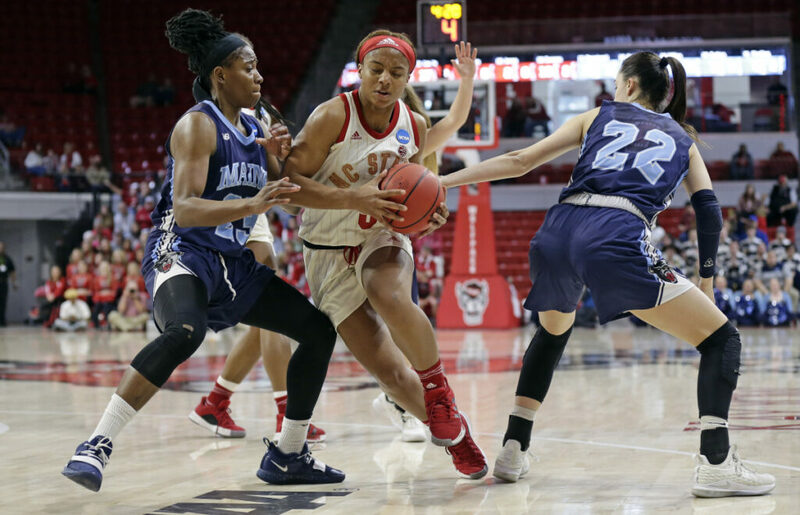 N.C. State had Kiara Leslie (20), Crutchfield (14), and Cunane (16) finish in double figures. There were eight lead changes, all in the first quarter.